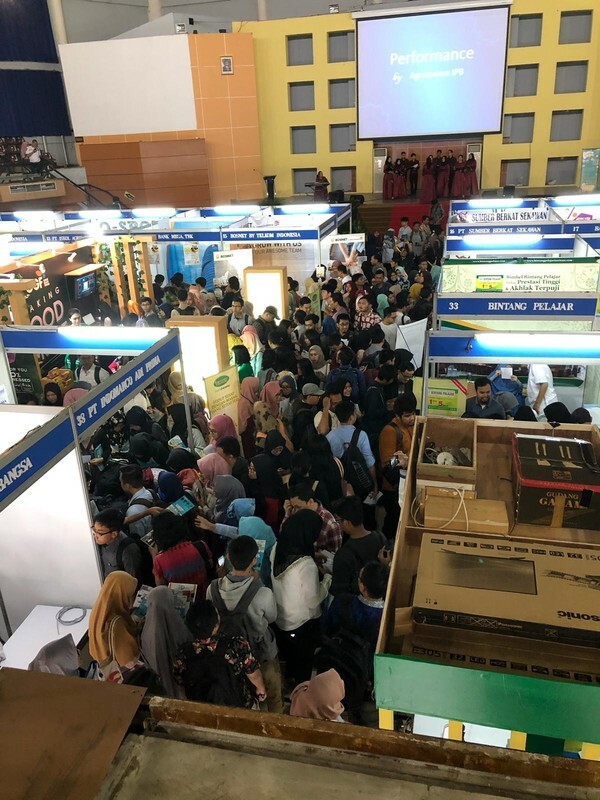 IPB Job Fair Career and Entrepreneurship Expo 2018 was held at Bogor Agriculture University in Indonesia 21st and 22nd September 2018. 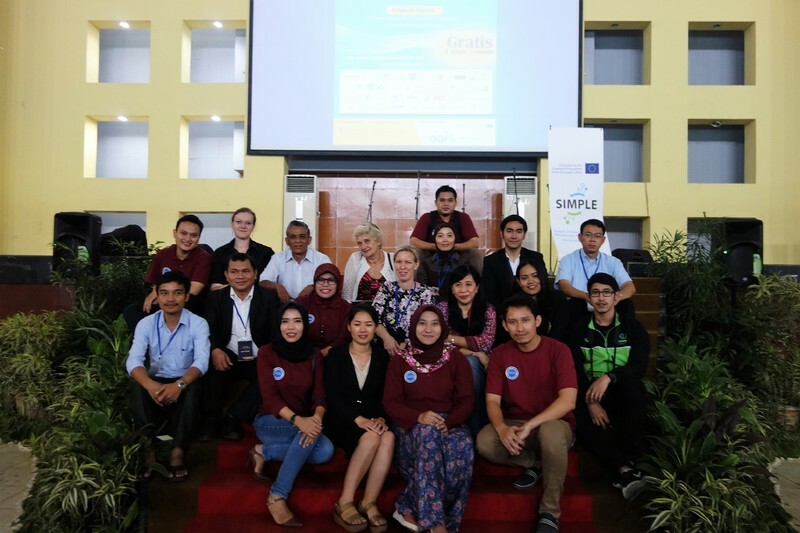 This fruitful event was organised by Student Affairs and Career Development Directorate of IPB (CDA-IPB) within project SIMPLE and co-funded within the Erasmus+ Programme of the European Union, PT. Great Giant Foods and PT. Bank Bukopin, Tbk. IPB Job Fair was honoured by the speech of the Rector of IPB Dr. Arif Satria, SP,M.Si. 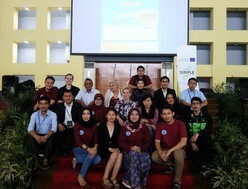 Tens of companies, IPB young entrepreneurs and thousands of visitors focused to facilitate business world hiring human resources, alumni of the universities got the unique opportunity to find their future jobs, develop synergistic relations that have mutual benefits between IPB and the business world in particular human resources with degrees and entrepreneurial soul of college students, during two intensive days. 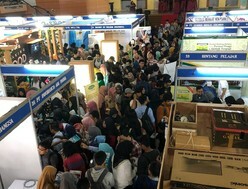 IPB Job Fair “Career and Entrepreneurship Expo 2018” consists of Career Expo – exhibition of job vacancies by participated companies, Entrepreneurship Expo - an exhibition participated by young entrepreneurs of IPB for promoting market innovative products. Companies´ presentations were carried out to disseminate companies´ profiles and to broaden horizons of jobseekers college students concerning job vacancies in the related company and Career consultations for career guidance was provided for job seekers, that need particular consultation with the counsellors of CDA-IPB. Job Fair started by opening speech of Jana Hummelová from the Czech University of Life Sciences Prague on Internationalisation and Career Opportunities followed by representatives of Ghent University who presented Best Practices at UGent in Career/alumni Centres and internships with open discussion. Project SIMPLE was introduced during the presentation and at project SIMPLE booth. Participants of Career Fair had an opportunity to ask representatives of project partner´s universities from the Czech Republic (Czech University of Life Sciences Prague), Belgium (Ghent University), Cambodia (Royal University of Agriculture, University of Battambang), and Thailand (Kasetsart University, Prince of Songkla) and share their experiences which ensured the high quality also on an international level.